National Sandwich Day – Zero Equals Two! 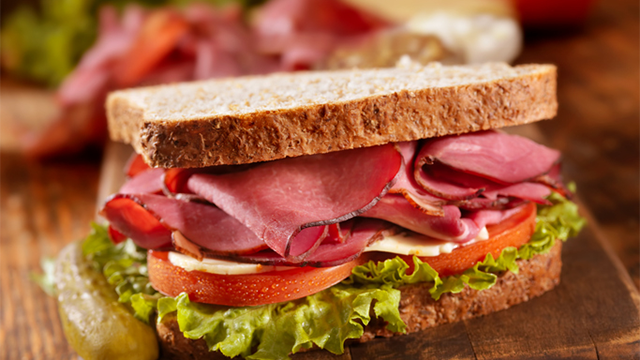 As you may know, legend has it that the sandwich was invented by John Montagu, 4th Earl of Sandwich, because he didn’t want to take time away from the gambling table. Accordingly, when he was hungry, he would ask his servants to bring him slices of meat between two slices of bread. This habit became so well known to his gambling friends that they soon began to order “the same as Sandwich,” and from this, the sandwich was born. How can you celebrate National Sandwich Day? Parade suggests 4 National Sandwich Day 2017 Freebie Deals. QSR Magazine notes that McAlister’s Deli is celebrating National Sandwich Day with a $4 Club sandwich. If you want to make your own, Country Living provides 14 of America’s Most Essential Sandwich Recipes. Previous Article← America’s First Female Bishop…And KKK Fan!